Why do we still remember and adore Che Guevara? He was a leftist (a much reviled term today). A bum chum of Fidel Castro. A pal of the then communist Russia. May be because he stood for something. For the smallest and poorest of man. For ideals. May be because he died unafraid; broken in body but his mind and spirit as strong as ever. 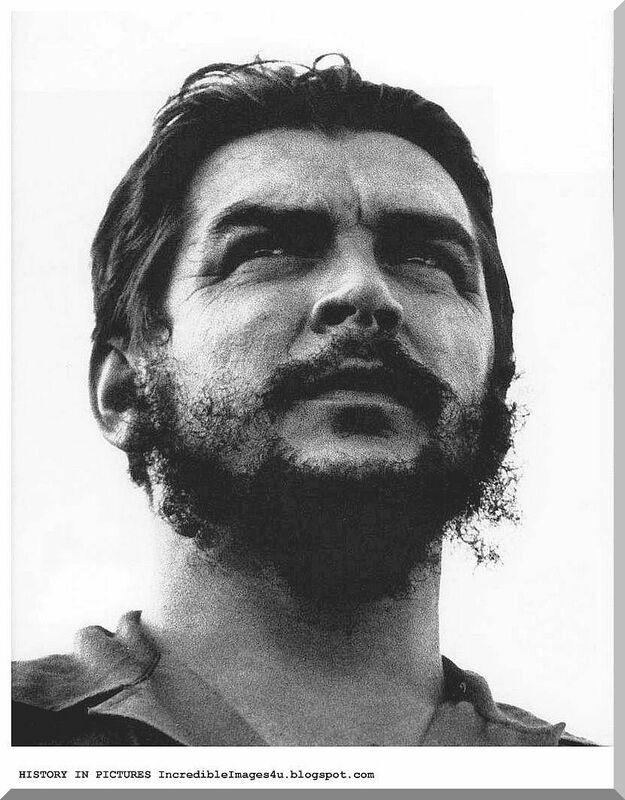 In today's world of rabid capitalism, Che Guevara gives us solace. That there is more to life than making money. Ernesto Guevara de la Serna, known as Che Guevara, was born on 14 June 1928 in Rosario, Argentina into a middle-class family. He studied medicine at Buenos Aires University and during this time traveled widely in South and Central America. The widespread poverty and oppression he witnessed, fused with his interest in Marxism, convinced him that the only solution to South and Central America's problems was armed revolution. Castro overthrew Batista in 1959 and took power in Cuba. From 1959-1961, Guevara was president of the National Bank of Cuba, and then minister of industry. In this position, he traveled the world as an ambassador for Cuba. At home, he carried out plans for land redistribution and the nationalisation of industry. 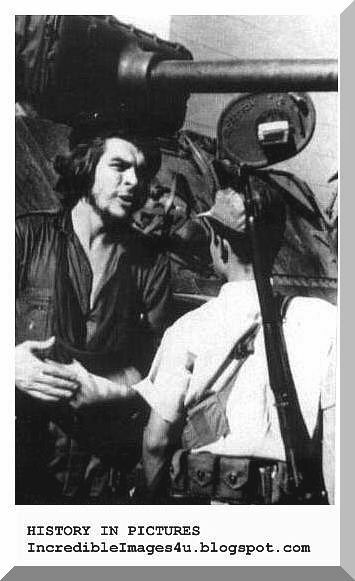 By the time Ernesto Guevara, known to us as Che, was murdered in the jungles of Bolivia in October 1967, he was already a legend to my generation, not only in Latin America but also around the world. His execution in Vallegrande at the age of 39 only enhanced Guevara's mythical stature. That Christ-like figure laid out on a bed of death with his uncanny eyes almost about to open; those fearless last words ("Shoot, coward, you're only going to kill a man") that somebody invented or reported; the anonymous burial and the hacked-off hands, as if his killers feared him more after he was dead than when he had been alive: all of it is scalded into the mind and memory of those defiant times. He would resurrect, young people shouted in the late '60s. How to understand, then, Che Guevara's pervasive popularity, especially among the affluent young? Perhaps in these orphaned times of incessantly shifting identities and alliances, the fantasy of an adventurer who changed countries and crossed borders and broke down limits without once betraying his basic loyalties provides the restless youth of our era with an optimal combination, grounding them in a fierce center of moral gravity while simultaneously appealing to their contemporary nomadic impulse. To those who will never follow in his footsteps, submerged as they are in a world of cynicism, self-interest and frantic consumption, nothing could be more vicariously gratifying than Che's disdain for material comfort and everyday desires. One might suggest that it is Che's distance, the apparent impossibility of duplicating his life anymore, that makes him so attractive. And is not Che, with his hippie hair and wispy revolutionary beard, the perfect postmodern conduit to the nonconformist, seditious '60s, that disruptive past confined to gesture and fashion? After witnessing American intervention in Guatemala in 1954, Guevara radicalized and become convinced that the only way to bring about change was by violent revolution. He wrote in a letter to home: "Along the way, I had the opportunity to pass through the dominions of the United Fruit, convincing me once again of just how terrible these capitalist octopuses are. I have sworn before a picture of the old and mourned comrade Stalin that I won’t rest until I see these capitalist octopuses annihilated." In Guatemala Guevara met Hilda Gadea. They married 1955 and had one child. Guevara was arrested with Fidel Castro in Mexico for a short time. 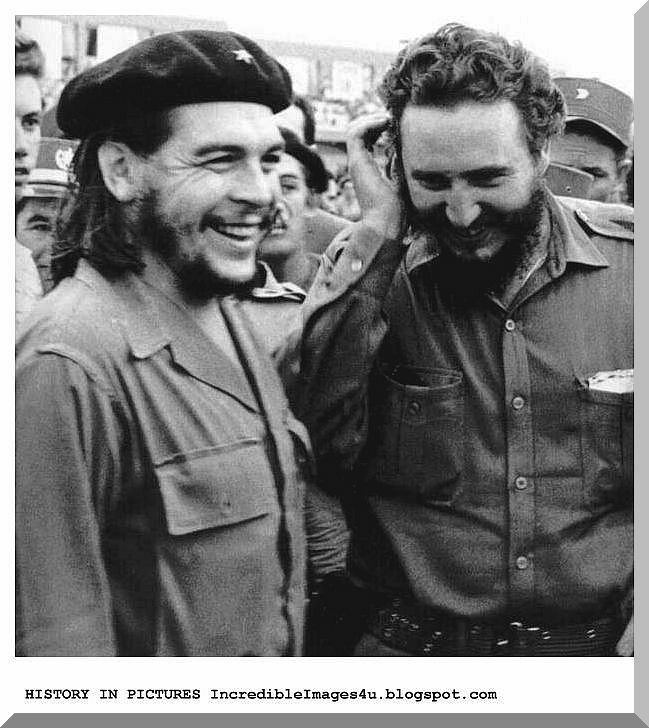 He had joined Castro's revolutionaries to overthrow the Batista government. In 1956 they loaded 38-feet long motor yacht Granma full of guerrillas and weapons and sailed to Cuba, landing near Cabo Cruz on December 2. In the mountains Guevara met Aleida March in 1958, 24-year-old revolutionary fighter, and she became Guevara's second wife in 1959. He continued to write his diary and composed also articles for El Cubano Libre. A selection of Gurvara's articles, which he wrote between 1959 and 1964, was published in 1963 as PASAJES DE LA GUERRA REVOLUCIONARIA. For the media Cuba was a hot subject - New York Times, Paris Match and Latin American papers sent reporters to the mountains to make stories of the revolutionaries. At the same time when Guevara was in the mountains, his uncle was Ambassador to Cuba. Guevara rose to the rank of major and led one of the forces that invaded central Cuba in the late 1958. 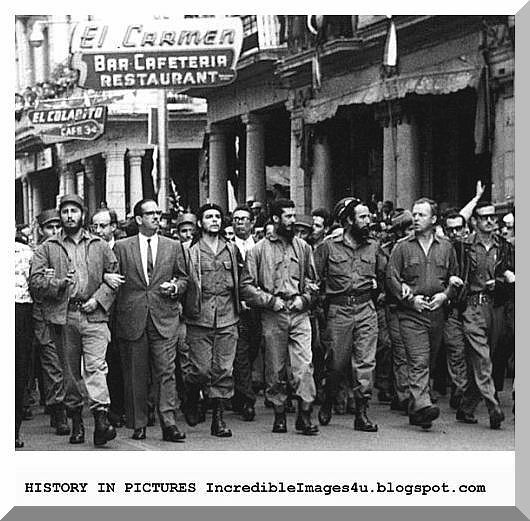 After the conquest of power in January 1959 Guevara gained fame as the leading figure in Castro's government. He attracted much attention with his speeches against imperialism and US policy in the Third World. He argued strongly for centralized planning, and emphasized creation of the 'new socialist man'. In his famous article, 'Notes on Man and Socialism', he argued that "to build communism, you must build new men as well as the new economic base." The basis of revolutionary struggle is "the happiness of people," the the goal of socialism is the creation of more complete and more devoped human beings. In a discussion on September 14, 1961 Guevara opposed the right of dissidents to make their views known even within the Communist Party itself. 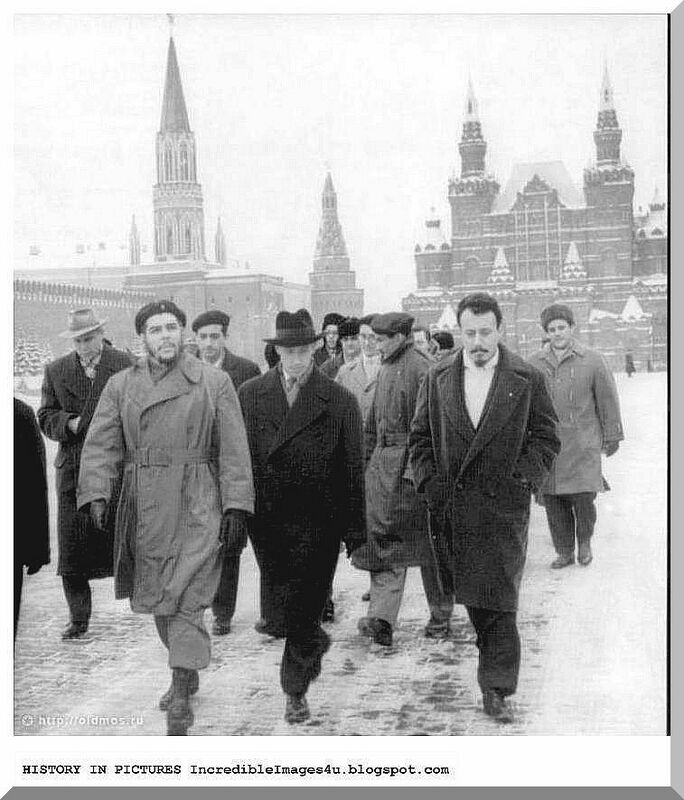 However, privately Guevara was critical of the Soviet bloc, but so was also Nikita Khruschev. When the executions of war criminals started Guevara acted as the highest prosecuting authority. The condemned were soldiers found guilty of murder, torture and other serious crimes. Because Guevara was a doctor, one of his friends once asked how he could work in such a position. Guevara's answer was like from Western movies: "Look, in this thing you have to kill before they kill you." 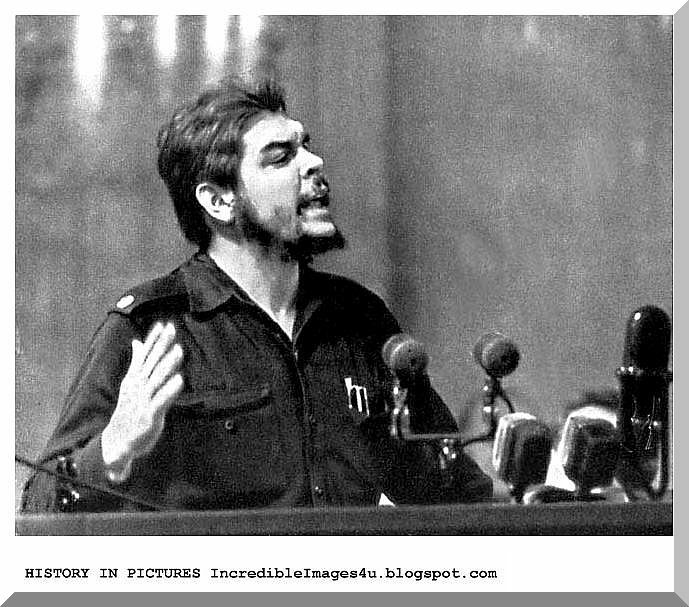 In 1959 Guevara adopted formally the nickname Che and was granted honorary Cuban citizenship. He was visited by such intellectuals as de Beauvoir, and Sartre who saw in him the "most complete human being of our age". 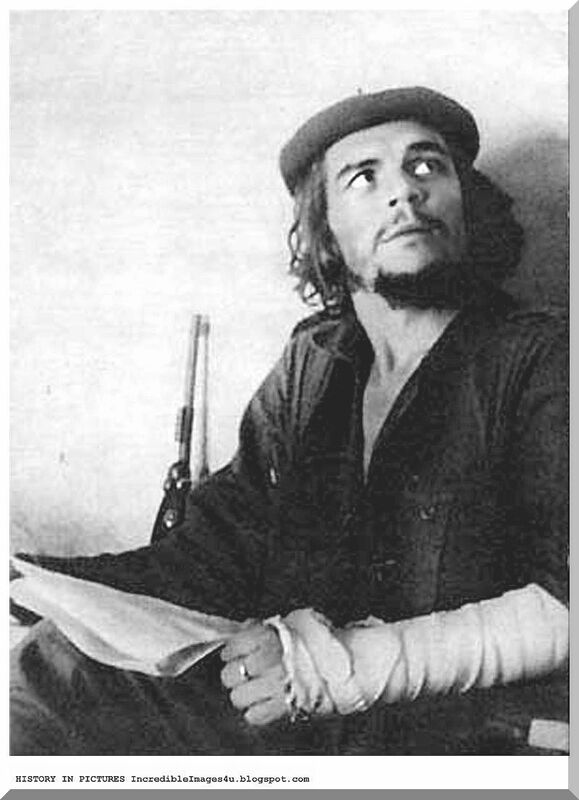 The most famous picture of Guevara was taken by Alberto Diaz Gutiérrez, known professionally as Korda. 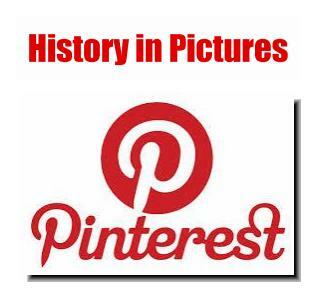 He declined to take royalties when the picture became worldwide icon. 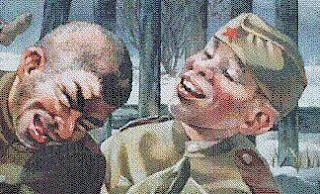 When a British advertising agency appropriated the image for a vodka ad Korda rejected the idea: he never drank himself," said the photographer, "and drink should not be associated with his immortal memory." According to one source, the top ranking officers in La Higuera instruct the noncommissioned officers to carry out the order and straws are drawn to determine who will execute Che. Just before noon, having drawn the shortest straw, Sergeant Jaime Terán goes to the schoolhouse to execute Che. Terán finds Che propped up against the wall and Che asks him to wait a moment until he stands up. 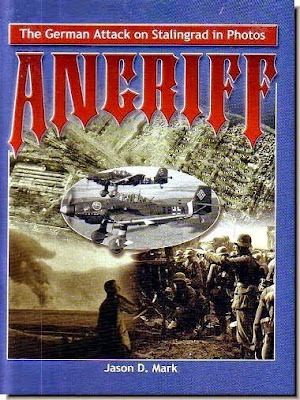 Terán is frightened, runs away and is ordered back by Colonel Selich and Colonel Zenteno. "Still trembling" he returns to the schoolhouse and without looking at Che’s face he fires into his chest and side. Several soldiers, also wanting to shoot Che, enter the room and shoot him. Later that morning on October 9, Bolivian President René Barrientos ordered that Guevara be killed. The executioner was Mario Terán, a half-drunken sergeant in the Bolivian army who had requested to shoot Che on the basis of the fact that three of his friends from B Company, all named "Mario", had been killed in an earlier firefight with Guevara's band of guerrillas. To make the bullet wounds appear consistent with the story the government planned to release to the public, Félix Rodríguez ordered Terán to aim carefully to make it appear that Guevara had been killed in action during a clash with the Bolivian army. Gary Prado, a Bolivian soldier who was with the group that captured Guevara, said that the reasons Barrientos ordered the immediate execution of Guevara is so there would be no possibility that Guevara would escape from prison, and also so there would be no drama in regard to a trial. Moments before Guevara was executed he was asked if he was thinking about his own immortality. "No", he replied, "I'm thinking about the immortality of the revolution. When Sergeant Terán entered the hut, Che Guevara then told his executioner, "I know you've come to kill me. Shoot, coward! You are only going to kill a man! Terán hesitated, then opened fire with his semiautomatic rifle, hitting Guevara in the arms and legs. 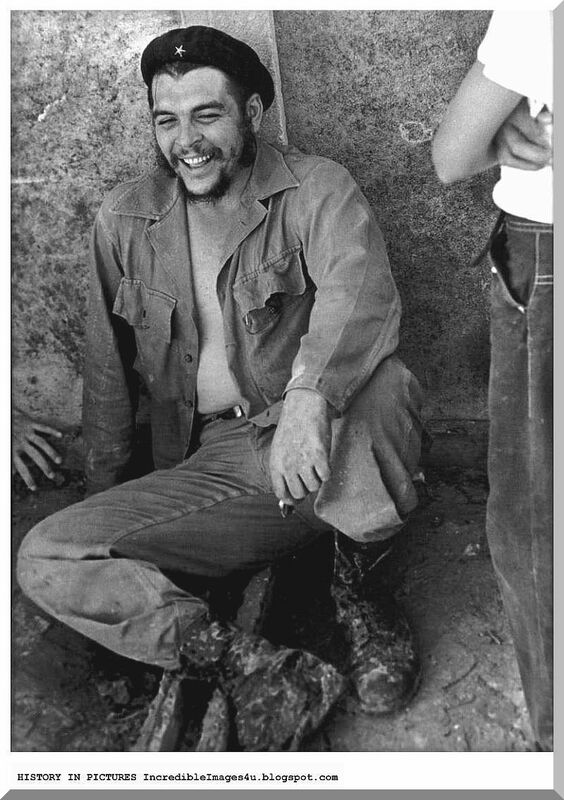 Guevara writhed on the ground, apparently biting one of his wrists to avoid crying out. Terán then fired several times again, wounding him fatally in the chest at 1:10 pm, according to Rodríguez. In all, Guevara was shot nine times. This included five times in the legs, once in the right shoulder and arm, once in the chest, and finally in the throat. 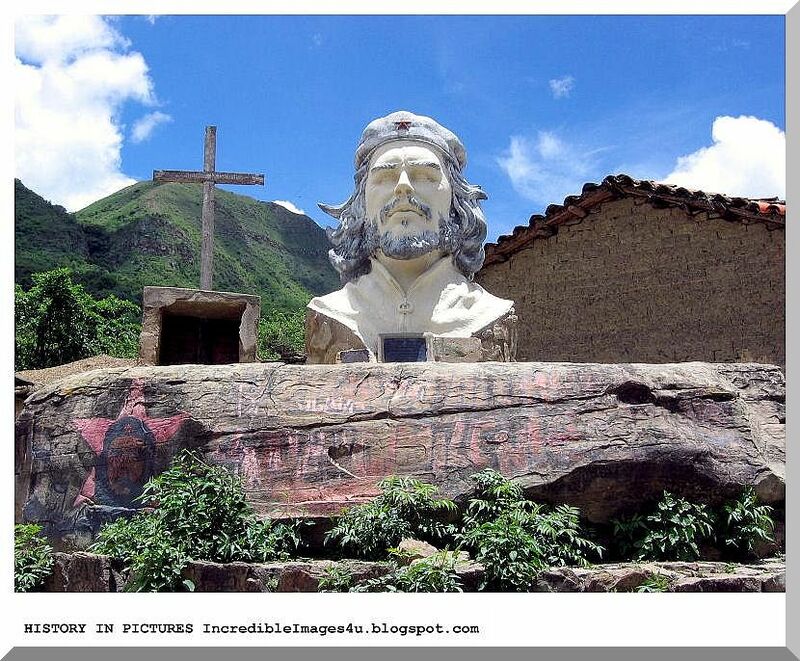 The name “Che Guevara” either incites love or hate. The name is synonymous with freedom fighting to some, and butchery to others. What most people don’t know is that Che’s real name was not quite so romantic; he was born Ernesto Lynch. 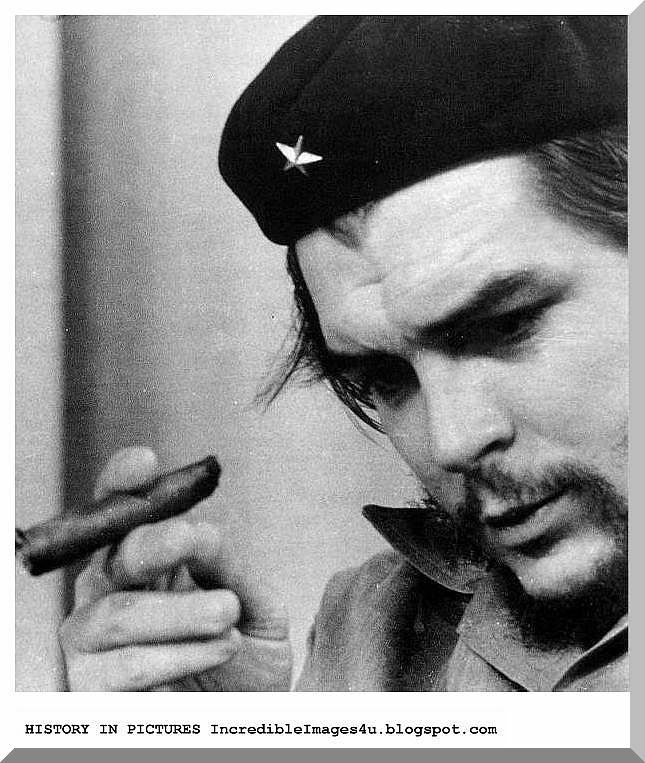 That’s right – Che Guevara was actually plain old Mr Lynch. It doesn’t have quite the same ring to it does it? His surname comes from the fact that his family was half Irish. Ernesto Lynch is pictured above at the age of 22. 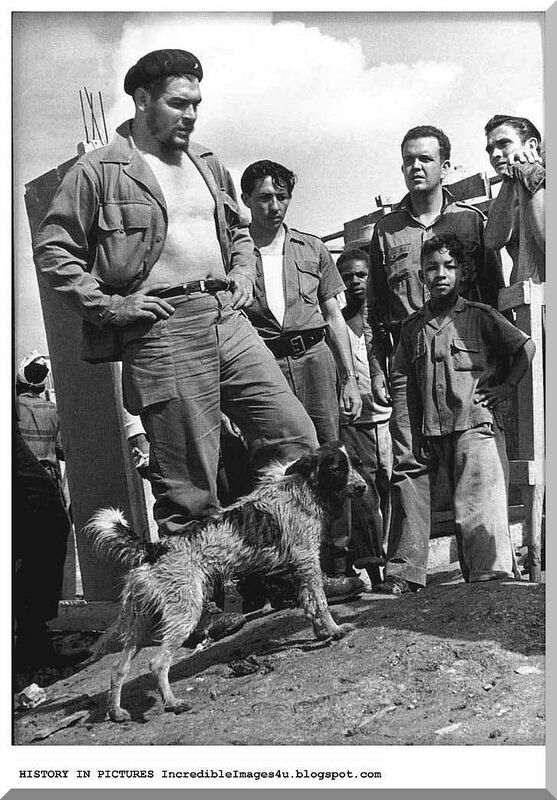 Che Guevara as a youth was nicknamed “Chancho” (pig) because of his bathing habits (or lack thereof) and the fact that he proudly wore a “weekly shirt” – ie, a shirt he changed once a week. 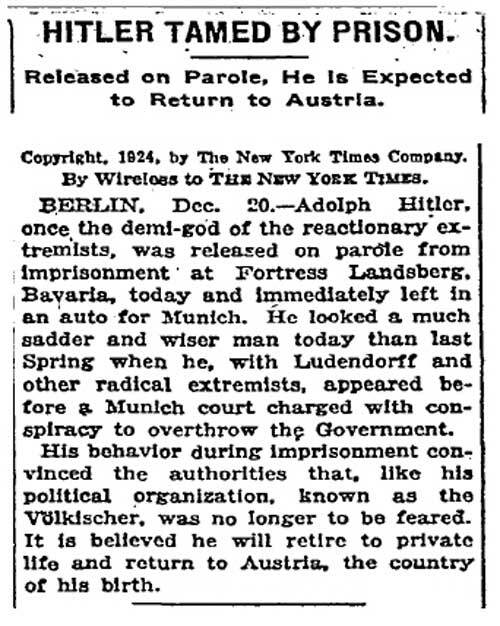 All through his life people commented on his smelliness (though obviously not to his face once he had the power to execute people on a whim). Contrary to the image we all have of Guevara, in his youth he was quite the geek. He loved playing Chess and even entered local tournaments. In between hanging out with his chess buddies, Ernesto would read poetry which he loved with a passion. His favorite subjects at school were mathematics and engineering. I think we could safely say that if he were a teenager today, he would be EMO. Pictured above is an artist’s impression of EMO Ernesto Lynch (AKA Che Guevara). 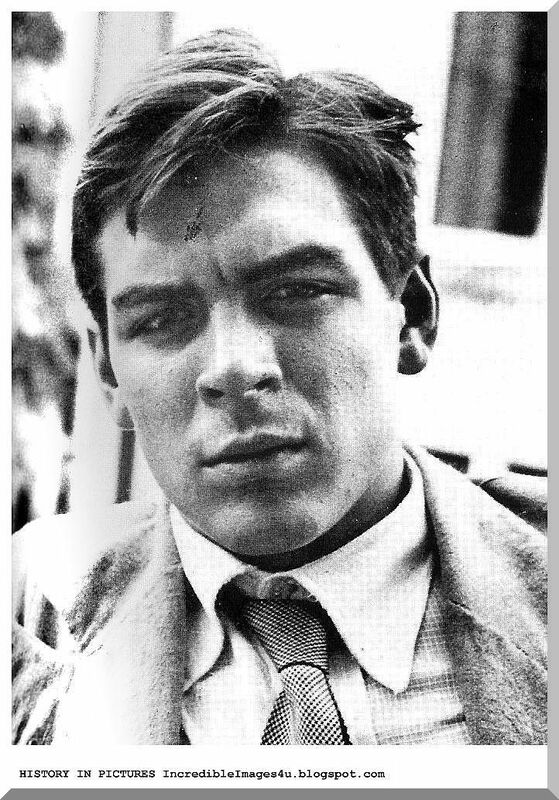 There seems to be some dispute about this fact around the Internet, but in June 1953, Guevara completed his medical studies and graduated as Doctor Ernesto Guevara. While studying he was particularly interested in the disease Leprosy. We tend not to see Guevara as a family man, but in fact he had one child with his first wife, Hilda Gadea, a daughter who was born in Mexico City on February 15, 1956, and he had four children with his second wife, the revolutionary Aleida March. Pictured above is Camilo – Che’s son. After hie execution, a military doctor amputated Che’s hands. 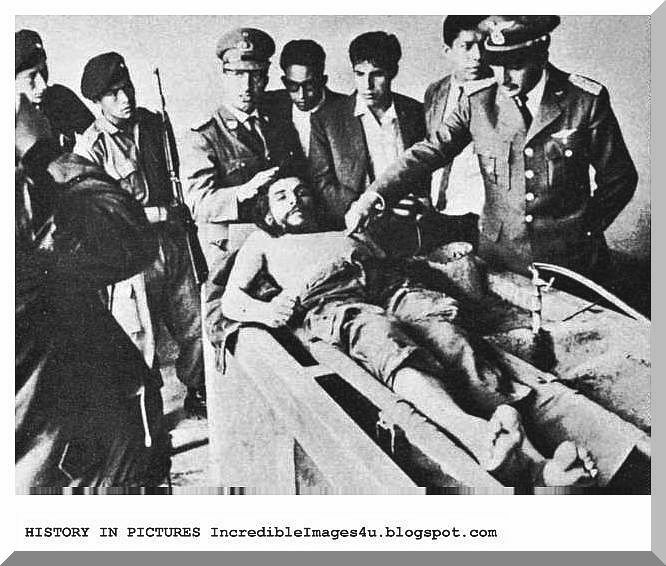 Bolivian army officers transferred Guevara’s body to an undisclosed location and refused to reveal whether his remains had been buried or cremated. The hands were preserved in formaldehyde to be sent to Buenos Aires for fingerprint identification. (His fingerprints were on file with the Argentine police.) They were later sent to Cuba. The high-contrast monochrome graphic of his face has become one of the world’s most universally merchandized and objectified images, found on an endless array of items, including t-shirts, hats, posters, tattoos, and even bikinis, ironically contributing to the consumer culture he despised. 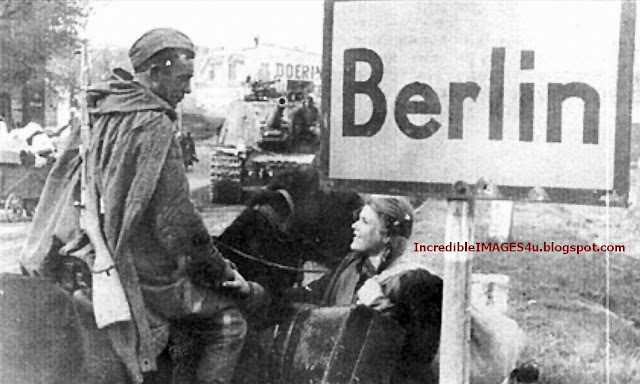 The original image was snapped at a memorial service by newspaper photographer Alberto Korda. At the time, only Korda thought highly of the shot, and hung the picture on his wall, where it stayed until an Italian journalist saw it, asked if he could have it, and Korda obliged. Guevara remains a beloved national hero to many in Cuba, where his image adorns the $3 Cuban Peso and school children begin each morning by pledging “We will be like Che.” In his native homeland of Argentina, where high schools bear his name, numerous Che museums dot the country, and in 2008 a 12 foot bronze statue of him was unveiled in his birth city of Rosario. Additionally, Guevara has been sanctified by some Bolivian farm workers as “Saint Ernesto”, to whom they pray for assistance. Needless to say, the Catholic Church does not consider Guevara to be a saint and strongly opposes the adulation of him. The cult of Ernesto Che Guevara is an episode in the moral callousness of our time. Che was a totalitarian. He achieved nothing but disaster. Many of the early leaders of the Cuban Revolution favored a democratic or democratic-socialist direction for the new Cuba. But Che was a mainstay of the hardline pro-Soviet faction, and his faction won. 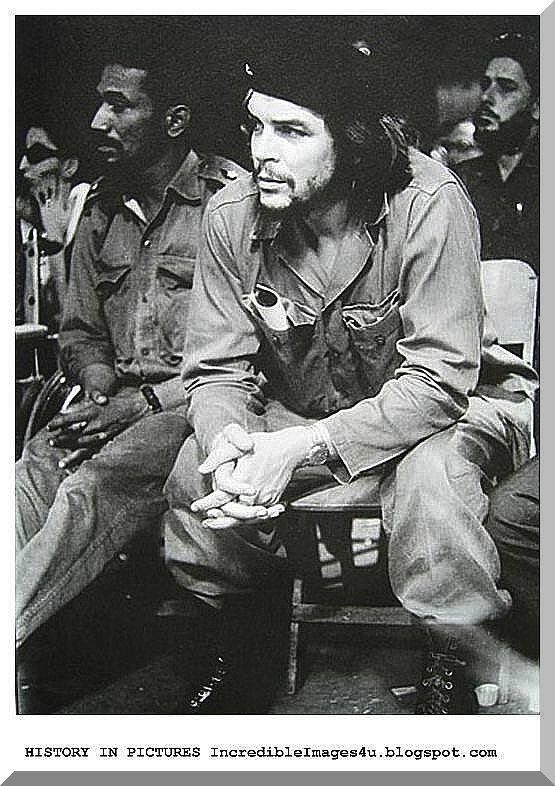 Che presided over the Cuban Revolution's first firing squads. He founded Cuba's "labor camp" system—the system that was eventually employed to incarcerate gays, dissidents, and AIDS victims. To get himself killed, and to get a lot of other people killed, was central to Che's imagination. In the famous essay in which he issued his ringing call for "two, three, many Vietnams," he also spoke about martyrdom and managed to compose a number of chilling phrases: "Hatred as an element of struggle; unbending hatred for the enemy, which pushes a human being beyond his natural limitations, making him into an effective, violent, selective, and cold-blooded killing machine. This is what our soldiers must become …"— and so on. He was killed in Bolivia in 1967, leading a guerrilla movement that had failed to enlist a single Bolivian peasant. And yet he succeeded in inspiring tens of thousands of middle class Latin-Americans to exit the universities and organize guerrilla insurgencies of their own. 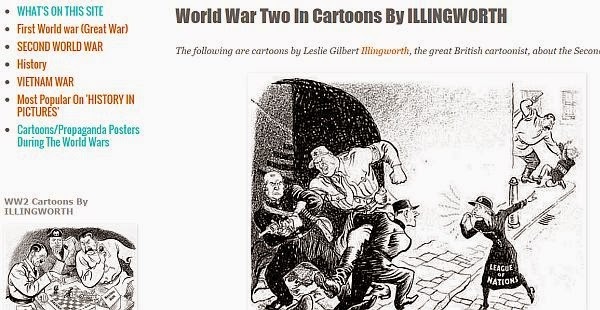 And these insurgencies likewise accomplished nothing, except to bring about the death of hundreds of thousands, and to set back the cause of Latin-American democracy—a tragedy on the hugest scale. Nearly 40 years after Che Guevara's execution in Bolivia, director Steven Soderbergh retraces the life of the iconic Cuban revolutionary in this nearly four-and-a-half-hour saga. Part 1 begins on November 26, 1956, as Fidel Castro (Demián Bichir) sails into Cuban waters with 80 rebels in tow. 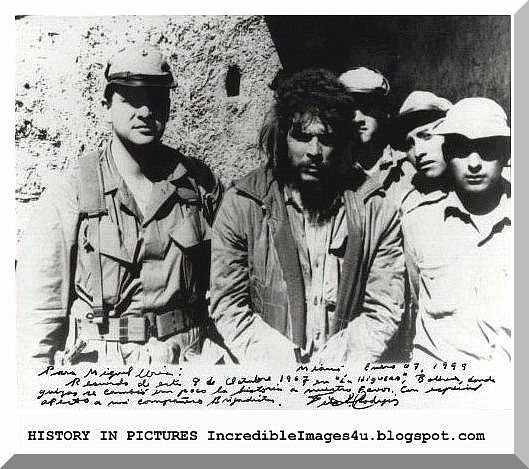 Among those rebels is Argentine doctor Ernesto "Che" Guevara (Benicio Del Toro), a man who shares Castro's dream of overthrowing corrupt dictator Fulgencio Batista. As the struggle gets under way, Guevara proves an indispensable part of the revolution due to his firm grasp on the concepts of guerilla warfare. 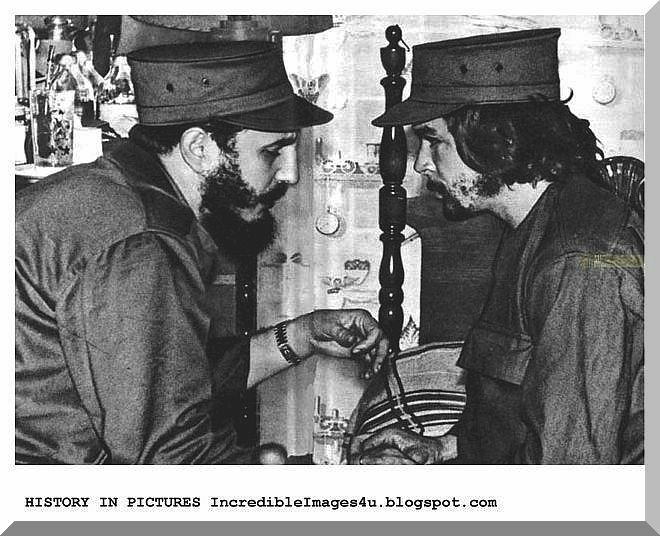 Guevara is heartily embraced by both his comrades and the Cuban people, and quickly rises through the ranks to become first a commander, and ultimately a revolutionary hero. 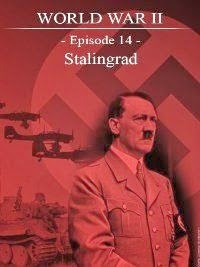 Part 2 of the saga begins with Guevara at the absolute peak of his fame and power. 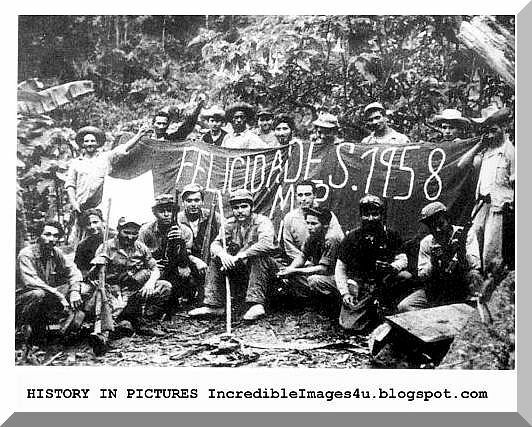 Disappearing suddenly, Guevara subsequently resurfaces in Bolivia to organize a modest group of Cuban comrades and Bolivian recruits in preparation for the Latin American Revolution. But while the Bolivian campaign would ultimately fail, the tenacity, sacrifice, and idealism displayed by Guevara during this period would make him a symbol of heroism to followers around the world.